How has all this time passed?? I was so sure while I was off on my maternity leave that I would be sitting creating all this content whilst a little tiny bub was sitting quietly and calmly at my feet playing with an ethically made,handcrafted wooden toy..... Funnily enough that is not how it has panned out and finding even a moment to update instagram never mind my poor blog is often impossible. Especially now Arthur is SO mobile, I truly feel like I never stop and that what is where this little beauty has come in handy. The 4 in 1 Superseat is on of those Summer Infant products that I hadn't heard of before but I knew the concept of these types of chairs. 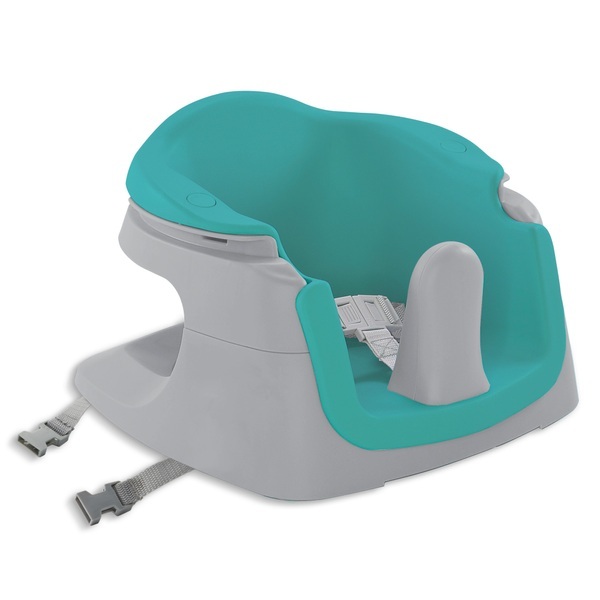 We had a Mamas and the Papas Second hand snug seat with an activity tray before this came along and he enjoyed sitting up in it but he would get frustrated as he was easily able to rip the activity tray off and be left with a blank snack tray. BORING! We tried out this version, and he adores it, so much so if you leave him crawling on the floor he pulls himself over it to lie under the tray and play with some of the bits that hang off.Bless. I love that it transitions to a proper booster seat with straps included for fixing to a chair, and is all washable. I have been really impressed and delighted he has somewhere he is happy sitting safely for a while. This is a really clever multipurpose number and the fact you can use it for feeding at various ages could be super handy for people short of space or looking for something for a grandparents house! I am Delighted we got to try this out and have since passed on the other one we had used previously as it just not as good. The Superseat is currently only £29.99 in the sale which is a fantastic price and well worth it.